My home is filled with jars and jars of dried flowers, herbs, and spices… and I wouldn’t have it any other way. These materials bring food and crafting to an entirely new level. 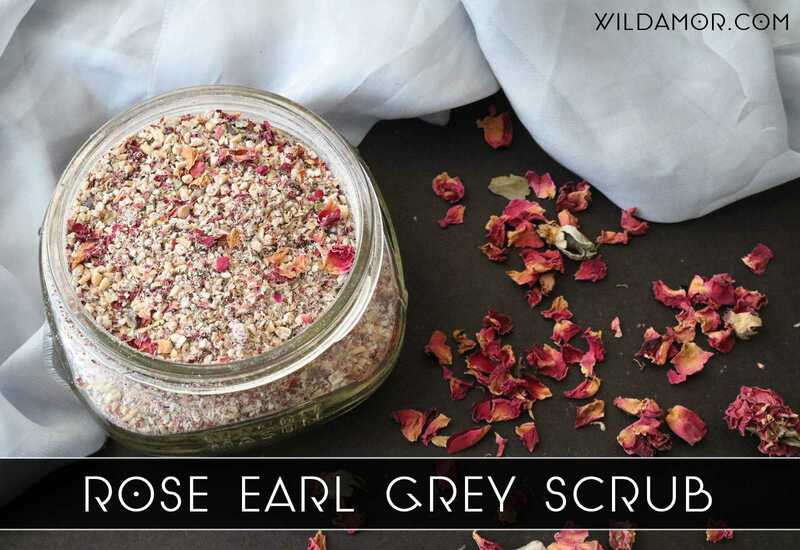 Floral face scrubs? Yes, please. Homemade teas? I’ll take three. And then there’s things like cinnamon soy wax melts, air fresheners, and lavender syrup — just to name a few. Basically, my love is real strong, and it shows no signs of slowing down. 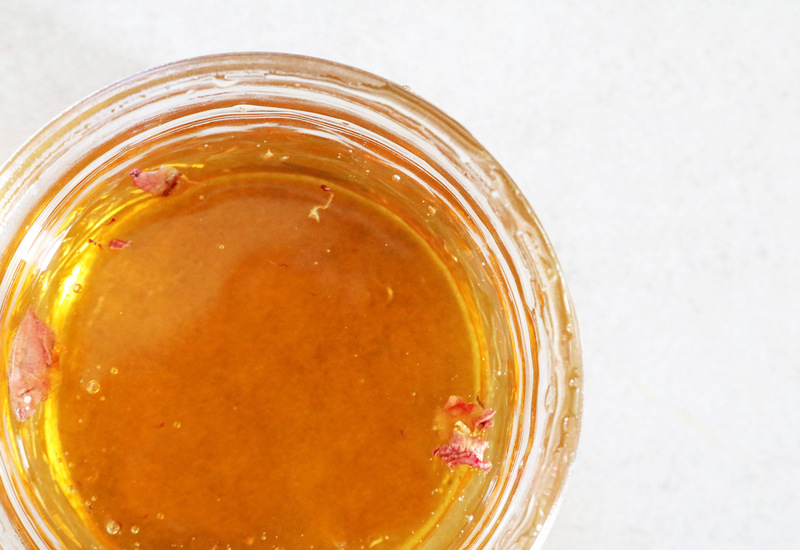 So when I spotted floral-infused honey at a fair, and I knew I had to give it a spin. The result? Honey infused with rose, my newest obsession. Of course, you can use a bigger jar with more honey. 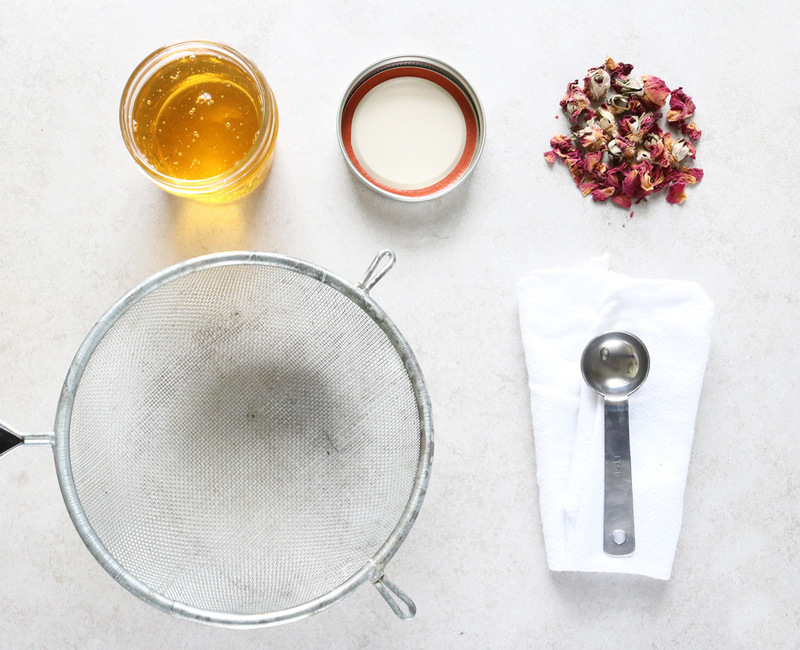 Simply multiply the proportion of dried roses according to your taste. This tutorial is simply a guide to get spark some ideas and inspiration… feel free to make it your own. 1. Fill the jar with honey, leaving an inch or two of space from the top. This will allow some room for the roses. 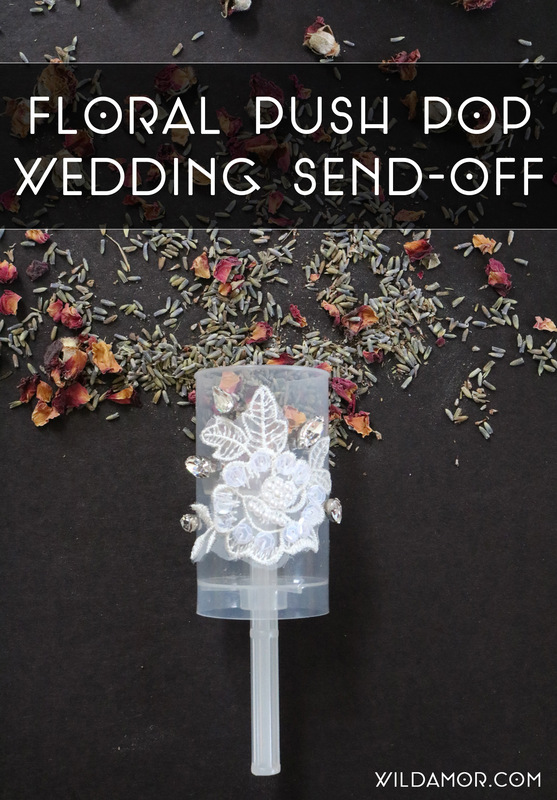 Add the dried roses, depending on your taste preference. 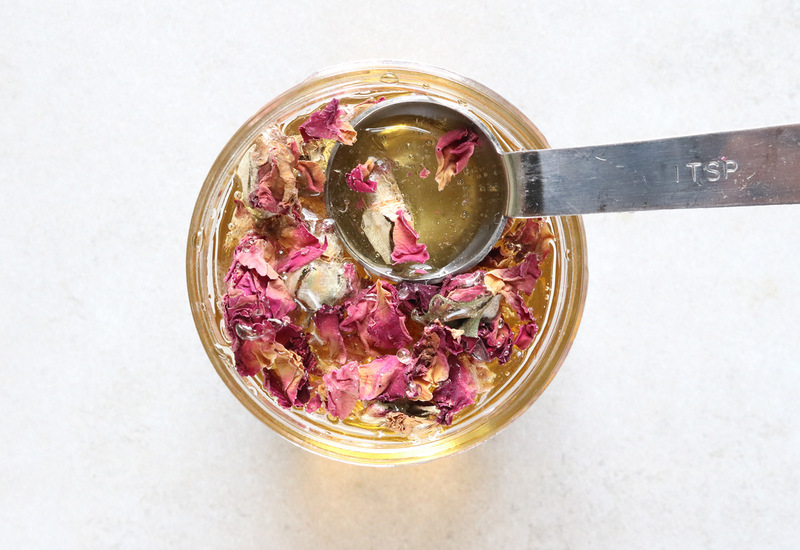 For a 4-ounce jar, I added 2 tablespoons and ended up with a medium/moderate rose flavor. Don’t be afraid to experiment! 2. Mix well. 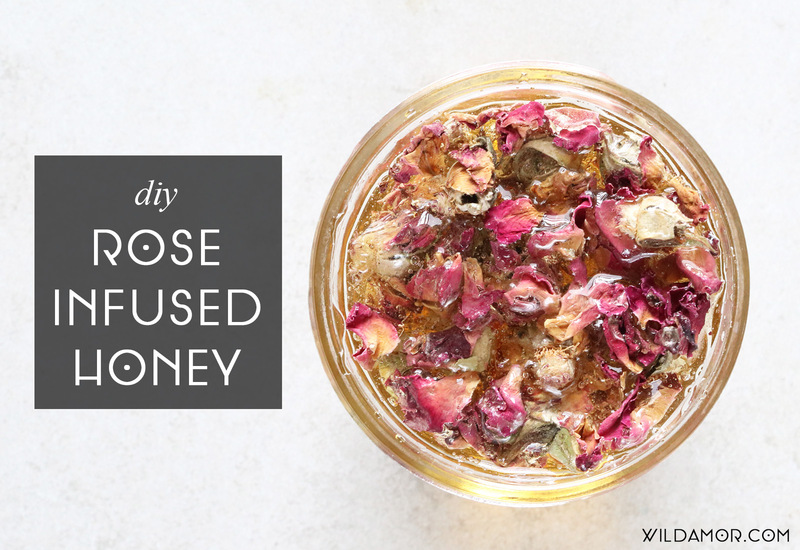 Make sure every last bit of the dried roses are covered with honey. 3. Cover tightly and let sit in a cool, dark spot for at least 7 days. Halfway through, give it a good stir. 4. Strain the honey. I ended up using a (much) smaller than the one pictured! 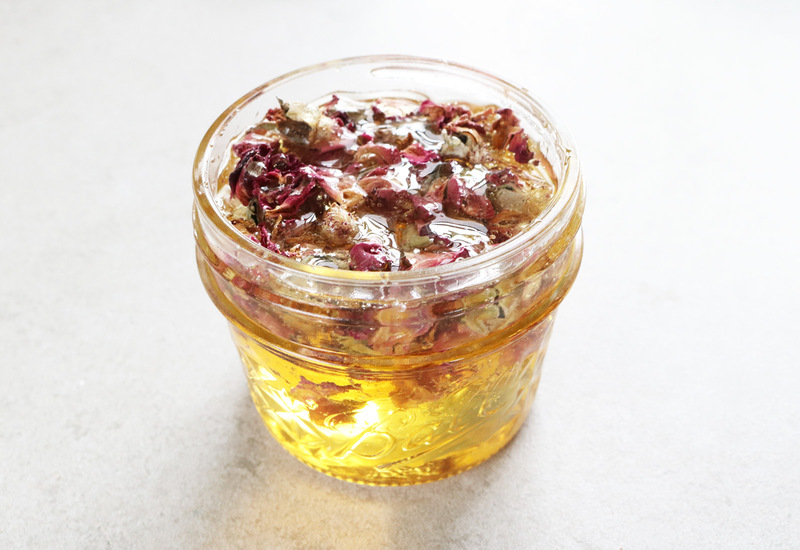 With a spoon, sift around the rose buds in the strainer to encourage every last bit of honey to pass through. Final verdict? It. Is. Delicious. I love drizzling this on top of fruit, yogurt, or oatmeal. It even tastes great with tea or plain old water (hot or cold). Seriously, it’s a dream. 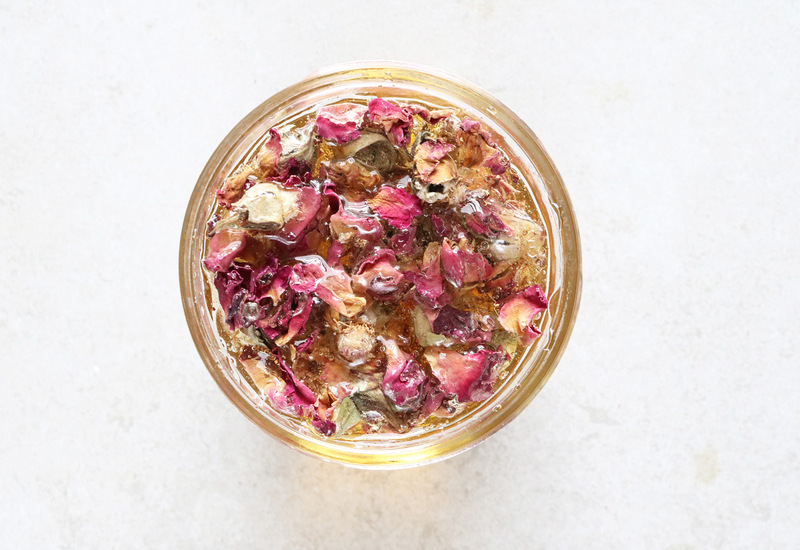 If you’re not a fan of floral notes, try herbs like rosemary, basil, or cinnamon. You can also combine favorite ingredients for a totally unique flavor. 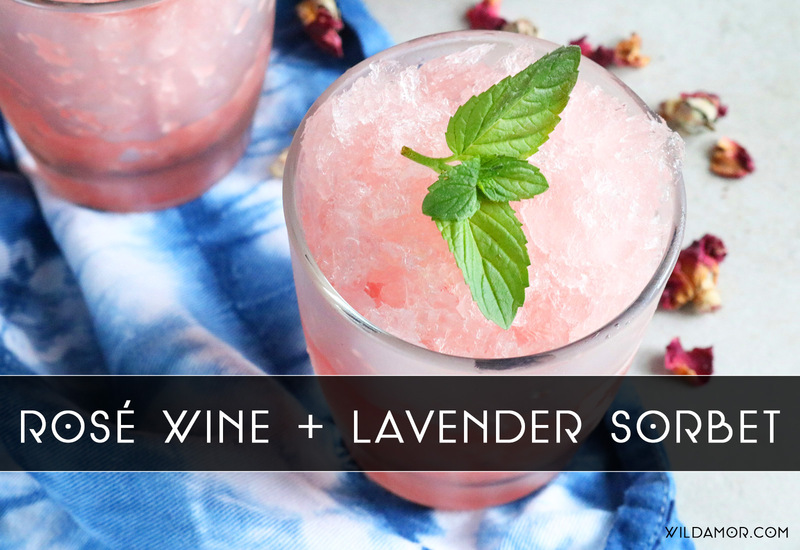 I’m thinking lavender rose honey would be pretty delicious. I like to think of this project as one of my last summer tutorials… soon, it’ll be time for pumpkins and cinnamon and squash. I am so ready for it!